Srila Prabhupada sailed from Calcutta to New York in 1965 on board the Jaladuta steamship. 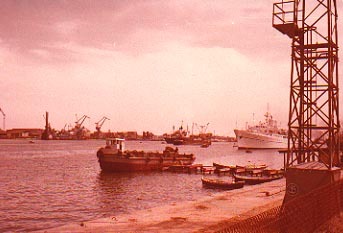 His first stop outside India was in Port Said, Egypt on the Suez Canal (1979 photo). 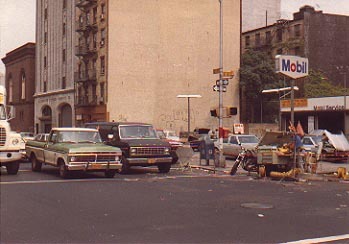 The Bowery is world famous for its large homeless population and its dangerous streets. it roars past the storefront next to the Mobil filling station. 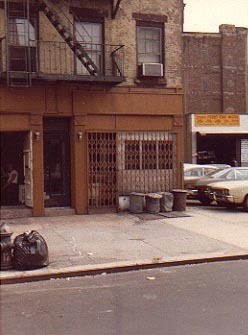 94 Bowery, where Srila Prabhupada preached and translated Srimad-Bhagavatam in a shared upstairs loft (1980 photo). 26 Second Avenue on the Lower East Side. 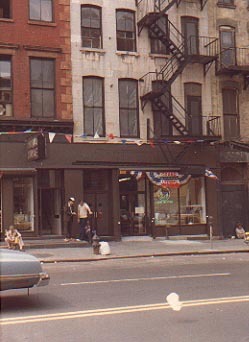 Once a curio shop ("Matchless Gifts") it became the first headquarters for Srila Prabhupada's International Society for Krsna Consciousness. 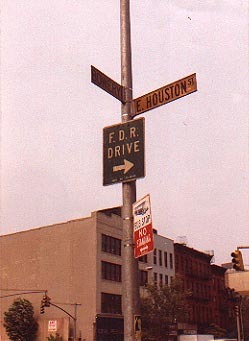 It has since been renovated and reopened by the devotees of New York in 1991 -- 25 years after ISKCON was founded (1980 photo). 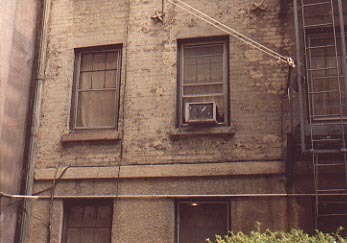 the rear apartment building above the courtyard. 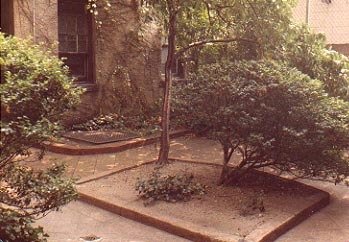 The inner courtyard behind 26 Second Avenue. "Wherever You are, O Lord -- there is Vrindavan."